Come un’autentica città internazionale che si rispetti, anche Milano vuole consolidare un fine settimana dedicato all’arte contemporanea. 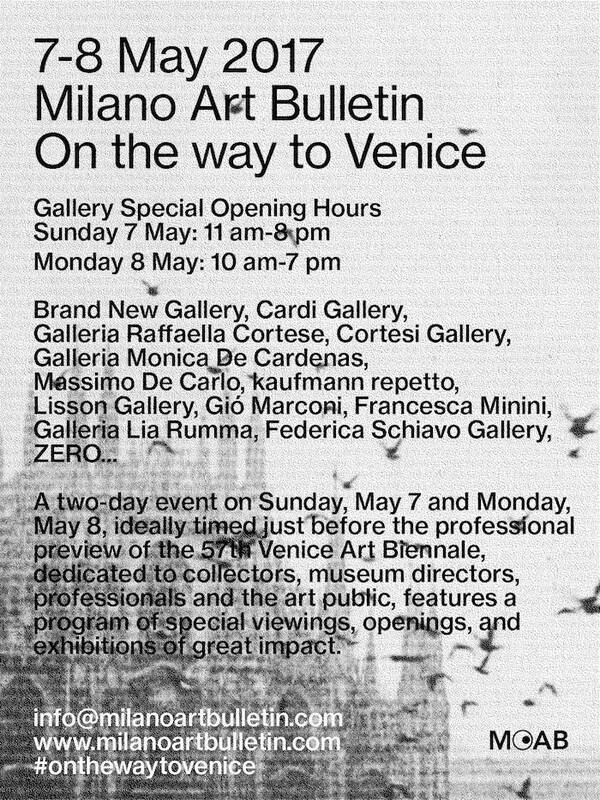 L’occasione per un compatto sodalizio tra una buona selezione di gallerie milanesi è l’iniziativa On the way to Venice, organizzata da Milano Art Bulletin: una rete di spazi pubblici e privati fondato nel 2015. Nelle giornate di domenica 7 e lunedì 8 maggio, prendendo la palla al balzo della vicina apertura della Biennale di Venezia, il MAB ha pensato di intercettare l’interesse e l’entusiasmo degli appassionati d’arte per creare un evento speciale. Forti delle efficaci sinergie emerse durante la settimana del miart, questa due giorni votata all’arte contemporanea è dedicata ai collezionisti, direttori di musei, professionisti e flâneur appassionati d’arte, per offrirgli un’ampia offerta di buone mostre, tanti incontri con galleristi e artisti. Con le gallerie, il MAB ha coinvolto anche musei, istituzioni e spazi nonprofit. Istituzioni: Fondazione Carriero, Pirelli HangarBicocca, Fondazione Prada, La Triennale di Milano, Fondazione Nicola Trussardi. Milano Art Bulletin, the Milanese network of public and private spaces of contemporary art founded in 2015, organizes a two-day event with special opening hours on Sunday 7 and Monday 8 May 2017, ideally timed just before the professional preview of the 57th Venice Art Biennale. The event consolidates Milan as a destination for the international art public, following the recent opening of major foundations and new spaces, and the renewed success of miart, the international fair of modern and contemporary art. The two days, organized for collectors, museum directors, professionals and the art public, feature a program of special viewings, openings, and exhibitions of great impact in the galleries, institutional and nonpro t spaces of the Milano Art Bulletin network. With this new appointment, the Milanese art community welcomes visitors to Italy’s economic and cultural core, the center of Italian lifestyle, a city of conceptual spaces and historic buildings, and the place to enjoy ambitious, meaningful exhibitions. Milano Art Bulletin welcomes collectors, curators and artists into a city that is simultaneously intimate and hyperactive. Fondazione Carriero, Pirelli HangarBicocca, Fondazione Prada, La Triennale di Milano, Fondazione Nicola Trussardi. Armada, Le Dictateur, Fanta Spazio, Marsèlleria, MEGA, Tile Project Space. Milano Art Bulletin is a platform for contemporary art made up of a website and a newsletter that keeps professionals and enthusiasts up to date about gallery, museum and non-pro t space exhibitions in Milan. The project identity and web design is handled by Mousse Agency, while the web interface is supported and sponsored by Artshell. Mousse Agency is a communication studio specialised in visual identity, digital, events, printed matter, and other special projects. Since 2009, the agency has worked with galleries, institutions, art fairs, and other partners.  Mousse Agency is a branch of Mousse, a Milan-based publishing house that issues a quasi bi-monthly magazine and publishes art books and catalogues.